Looking for a property in Old Madras Road? Have a property in Old Madras Road? Have a good knowledge of Old Madras Road? Share it and become a Locality expert. The Bengaluru problem: Is the civic body equipped to manage the rains this year? Offers 2 & 3 BHK Luxury Apartments at Old Madras Road, Bangalore - East. 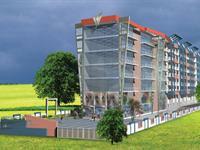 Mayflower Gardens-2 BHK, 1025 sq ft, II Floor, Semi Furnished flat available for Sale. Location C V Raman Nagar, Old Madras Road. The flat has excellent Day Light and air circulation.